Click on the Blue links to go straight to the pages. 28 April - More from Dedburgh School girls and Survivors tackle hordes of Zombies And opposition for Jason of the Argonauts - King Aeetes and the forces of Colchis. 17 April 2018 - Scrapheap Challenge - KampfGruppe Mullhalde joins my WW2 Germans ---- And a Wombat and Landrover for my RN Morvalonga Task Force. 31 March 2018 - Zombie Apocalypse Clear the street - Find the Survivors before the bomb explodes. 5 November - UN troops added to Morvalonga. 10 August 2017 - The Orc War Host of Orridenri - A Lord of the Rings Army based on a TV Cartoon character. 10 June 2017 - A Glorious Victory for the Royal Navy over Napoleon's allied Dutch Navy at Gushing. 21 May 2017 - Recce vehicles from toys added to my fictional Africa Morvalonga MOLAR page. And vehicles made from poundland toys added to the Project Z page to decorate our Zombie Games. 20 February 2016 - Close up pictures of Goblin Town Terrain Pieces. 9 May 2015 - We played 4 games today at Carronade in Falkirk - see the gallery the next visit to Skull Island is Claymore on 1st August in Edinburgh. 18 March 2015 - Our Public Participation Game for 2015 is SKULL ISLAND. Can you defeat KING KONG? Can you rescue Sue Flaye? Can you survive dinosaurs, cannibal pygmies and other terrors? Can you fly a balloon? 3 December 2014 added information about a source of polystyrene shapes and sheets. The company is Expanded Polystyrene Supplies and they will also cut shapes for you. 26 September 2014 Binky deals with White Scar, a rogue elephant, and suffers two hangovers. AND BIG Inch High additions in my refurbishment of my Fall of the Reich 1944-45 German forces. 09 May 2014 Our Public Participation Game - Hoodsville Heist (Gangsters). 03 May 2014 A big update of the Armed Forces of the Conflict in Morvalonga - air forces, Qaza'ar, RN Task Force, generic forces and Tarzan. New Section added - Other Games which has links to our Public Participation and other games that do not always fit into the main categories. 29 September 2013 - MORVAL EARTH action at Marjal Decaer where Dame Morgana destroys the Order of Rudolphus. 15 June 2013 - MORVALONGA updated: Child soldiers and Police and The Morvalongan Army and the Air Forces of Morvalonga and Qaza'ar and some more buildings. 24 May 2013 - The Battle of Riqitti Raqitti Bridge 1934 - Italians continue their invasion of the Aqsumian Empire. 3 March 2013 - THEM! Giant ants invade the town of Morvalant in our participation game for 2013 - play or watch at Carronade, Wappinshaw and Claymore. 29 December 2012 a 1960s style game set in Normandy 1944 at the Battle of Les Deux Etangs and the big new section of our fictional East African campaign set in Morvalistan in about 1940-1941. Continuing the African theme is our setting for African Warlord Games - The Newly Independent Nation of MORVALONGA! 30 September 2012: A Lost World Safari scenario competition entry - Obnoxious Occultists On Obsidian Olympus. Nazis, Dinosaurs, Apes and Wild Wild Women - what more could you ask? 23 July 2012 The Fictional East African Campaign of 1934 in Aqsopia and then the 1940 campaign in Morvalistan involving the Italians, Aqsopian Empire, the British Empire, the Kingdom of Qaza'ar and others. 27 December 2011 - Inch High Club Opens with Iraq 1941. History and a guide to making the armies. Scenarios will follow later! And - Napoleonic Naval using our elderly Airfix warships. And - The Inch High Club coming soon where our 20mm, 25mm, 1/76, 1/72 and other historical games can be found. NEW 3 September 2011 - More Terrain - Victorian Tramp Steamers, A Manor House, Rumanian Cottages. NEW 31 August 2011 - Another massive update! We have changed the way we update the website and so updates will now be more frequent. Parts of the site will be gradually updated and maybe changed. New Cases for Sherlock at the Bluekilns Wharf, The Case of the Paradys Lady, A walk in the Woods and a Murder Gone Cold as well as the Transylvanian Schloss Grausbad Affair. 24 Ocober 2010 - It has been ages since our last update but here is a bumper issue of Victorian Gothic! Sherlock Holmes in The Bluekiln Wharf Affair, The Case of the Misled Lady and the Participation Game - the Curse of the Crackenwald in the games sections and in the terrain section - how to build a 28mm Manor House suitable for Pulp, Skirmish, Victorian Gothic type or other role playing games. 12 December 2009 Our New Victorian Gothic Rules and two adventures not to mention two new fantasy games to delight you. 19 July 2009 a HUGE section long in the making on how to make your own TERRAIN items cheaply and simply. 18 July 2009 our Public Participation game - Pirates and the Pyramid of Peril. Can you lead your scurvy pirate crew past dragons, traps, pygmies, zombie pirates and other perils into the heart of the pyramid and get to the hidden treasure? 10 January 2008 - Binky crosses the swamps in search of the Staring Skulls of Sakati AND Biggles Gets the Bird in our Christmas game. 27 December 2007 - A gallery of the Battle of Hosts - over 1,600 model soldiers locked in combat! 15 June - Pictures of our trip to Egypt's Western Desert Oases. 29 May - some photos of our trip last year to Egypt. 26 May 2007 - Binky and the Aqeda Dagger reaches its stunning close. And a near run thing it was! Binky fights through to Mariba and Binky attacks the Mad Mullah's Lair conclude this adventure for our hero. 11 May 2007 - Gimbals Gillespie and the Lair of the Dragon - a Pulp game in Morvalonesia and The Curse of Queen Neferdidit - A Public Participation Game for 2007, see and play it at Wappinshaw in Glasgow, Carronade in Falkirk, Claymore in Edinburgh and Skelp in Forfar. 23 December 2006 - The Tax Collectors - a pulp game set in Morvalonesia and The Treasure Hunters - our Christmas Game. 2 November 2006 - The Monastery of Death - A Pulp adventure set in the Spanish Civil War. Complete with stats for Howard Whitehouse's rule set "Astounding Tales". 1 November 2006 - Squire's Quest to the Isle of Fey - the prize winning participation game. Complete rules, maps, photographs and a gallery with pictures of the games at Skelp & Claymore. 13 August 2006 - A Biggles Story - Biggles and the Walking Death and SPUGS - a new alien menacing foe. 23 July 2006 - A New Binky Adventure. He is dealing with a religious fanatic - Madassah Hattah. 4 new game reports. Also a Dr Who Game Report. AND a new Biggles page. 15 January 2006. Binky Concludes his adventures in the lands of the White Queen with a Lion Hunt. AND a gallery of photos from the playtesting of our Morvalonesia (Pulp meets Back of Beyond) Rules. 13 November 2005. Updates and new sections - Binky has two new adventures and a new game set in Morvalistan's lost Urzala Andrez valley. If you were at SKELP or Claymore then you might have seen it. And a new Section on Biggles. 30 April 2005. A Stargate test game added. 2. Smoke May Damage Your Health. 3. One new Gallery set in the Lost World of dinosaurs, cavemen and Raquel Welch lookalikes! 4. And finally a Dr Who game. 14 November New page added - How to build Binky's Balloon. Due to popular demand a page on how I made the balloons. 6 November 2004 - Binky and the Balloons - Binky flies to the rescue. He follows up the raiders who made off with captives and cattle. 4 September 2004 - A battle for Binky at Jizuz Noesware. 23 August 2004 - I'm back after an enforced absence in Iraq. While I've been away HORG! has been published and is available from bookshops. Today I've put up the Indian Mutiny Pages from my old site and the First Part of Binky's Adventures. 10 August 2003. The SECOND novel in the Morgana Trilogy - HORG! is to released in the Spring of 2004. And new ordering information for Volume 1. We no longer have any association with GAZELLE so please do not order from them. 24 March 2003 A new Binky Adventure! Binky helps the Italians defeat and capture the dreaded "Grey Ghost" meanwhile rescuing the TREASURES OF LHEDU! Tom Dickson's Colonial Solo Wargaming Page added to LINKS. 8 January HAPPY NEW YEAR! New adventure and hard fought action for Binky and friends at the Pool of the Nir Zisari. 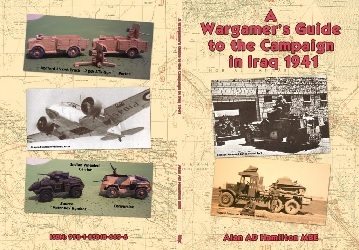 And UK WARGAMES added to the links page. 8 December 2002 MERRY CHRISTMAS - New Module for Morval Earth - Damsels in Distress the whole story! Maps, Player info, GM info, Special Rules and the story as we play tested it. More that 40 people have played this in public in any one of a dozen games. 12 October 2002 - New Battle Report - Binky and the Royal Regalia. Binky and co help King Ribi N'aa to recover his ceremonial regalia from the evil slavers. And a new Link to Geo Gibson's Techromancer's Sanctum. 5 October 2002 - Two new Battles - The latest module in Morval Earth - Can you rescue the prisoners? AND Mars Attacks Morvalistan! 28 August 2002 - The latest adventure in Binky's quest to rescue his lost love. He fights his way through the dreaded Gates of Anakrum. Also games masters aids for Morval Earth. 3 August 2002 - A gallery showing some of the many players of all ages who enjoyed our public participation game. Click here. The next chance to try is at Border Reivers. 16 June 2002 - New Section on MARS and Victorian Space begun with Terry Sofian's Bug Wars pages added. 3 June 2002 - The adventures of Binky Kingsley Crowne continue as he clears out a pirates' nest at Zomm el Ohle and attempts the rescue of damsels in distress. A new scenario and battle report here. Some new Links added and others updated. 25 May 2002 - "EXILED" OUT NOW - Details of how to order updated to allow for UK and international credit card orders. 13 May 2002 - Details of Glasgow launch of "EXILED!" at the Borders Bookshop Buchanan Street (select "Glasgow" on their site) - on 25th July at 7:00 pm Slim will be giving a talk on Wargaming, Role Playing and there will be a display of model soldiers and, maybe, a demonstration/ participation game. 11 May 2002 - LOOK OUT- Publication of "EXILED!" only 2 weeks way. The awaited first volume of the Morgana Trilogy will be published on 28 May (all things being well). John Mumford, known to us all as SLIM will be in Ottakars Bookshop George Street in Edinburgh on Thursday 6 June (D-DAY) from 16:30 until 21:00. He will autograph books and talk to enthusiasts about the story, the models and the campaign. DON'T MISS "EXILED!". The cover price is only £7.95 from bookshops or £9.00 including UK postage. Order it here. 22 March 2002- Pictures of the Cover of "EXILED" added. 26 December- Merry Christmas Scenario and rules for "All the Cattle in the World Belong to the Gaasai". The same cattle raid as below but set in Morvalistan. Not a single firearm or white man in this game! 7 October - Battle report as the redoubtable Bertram (Binky) Kingsley-Crowne cruises down the Nile. 16 September Scenario, rules and pictures for a new module - The Mission to kill the Witch Queen Bettrys. 17 August Scenario and Rules for the fantasy game "Retribution in Ekthalon". 30 July 2001 Information about Claymore 2001 added here. New links added for South East Scotland Wargames Club and Victorian Military Society.